The bedroom of my dreams – I want a dressing table! If you have seen my photos on Instagram and Facebook over the last couple of weeks, you will know that I have a budding artist on my hands. Amy got hold of some red and blue paint and re-decorated our bedroom with bright finger prints and colourful smears all over walls and doors. I turned to Twitter and Facebook for advice, but unfortunately even the most in-depth-tips for paint removal didn’t work and so I am now stuck with a bedroom in a captivating murder scene design. Great, if you are into CSI and similar TV programmes, not so great, if you just want a nice place to rest and relax and that’s exactly what I want. In order to enjoy spending time in our bedroom again, I have come up with some ideas. Yes, I said I have come up with some ideas. Ben has luckily stepped back and agreed that I can choose whichever colour scheme I like and as I really like the Scandinavian way of living, it will be all about whites, light blues and beige. I have already picked up some accessories to go with our wall colour and bedding and I am really trying to get Ben to agree to a dressing table for me. A dressing table is essential, right? I have so much make-up flying around that a dressing table would be perfect way to store it all and keep the room nice and tidy. I could display pretty perfume bottles and most of all, I would have a place where I could get ready in peace and quiet. It would be so much better than the badly lid mirror in our hallway. Also it would be the only real piece of furniture in the room and I think it would add a little bit of character to what would otherwise be a bit of an empty shell. We have in-build wardrobe, so there’s not much I can do there and as the room is fairly small not much more than a bed and a dressing table would fit in there, but I think that by adding some accessories, I can really transform the room and give it a lovely homely feel. I have bought some white wooden picture frames, some candles and candle holders and also some wooden ornaments that have a slight vintage feel to them. I have a vision, so let’s just hope that I’ll be able to make it come true! Disclosure: This is a featured post, which have received compensation for. Previous Post: « Aga cookers are not scary – just big! 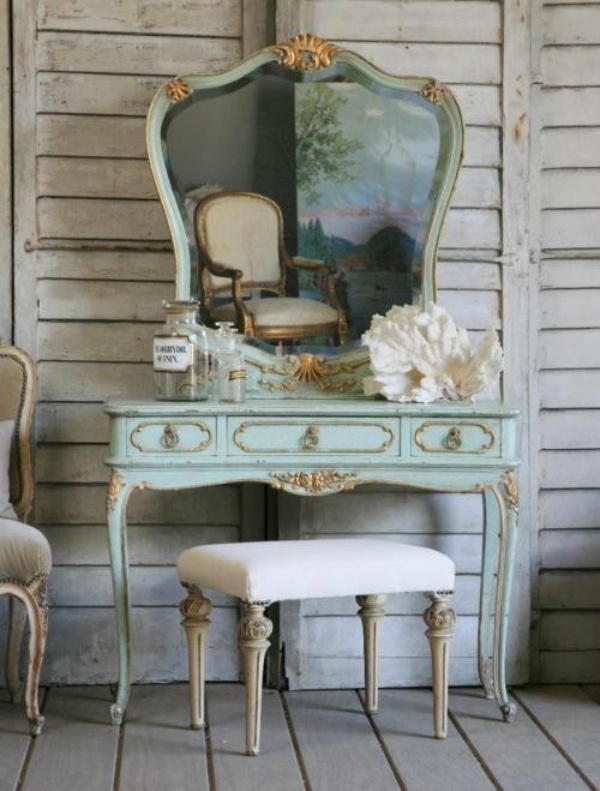 The dressing table in the pic is beautiful, I would love to bring a bit of glamour into the bedroom with something like that.